When the Missouri Lottery wanted promote their big adventure travel prizes, Kansas-City based creative agency Barkley countered with an idea— don’t go big, go small. 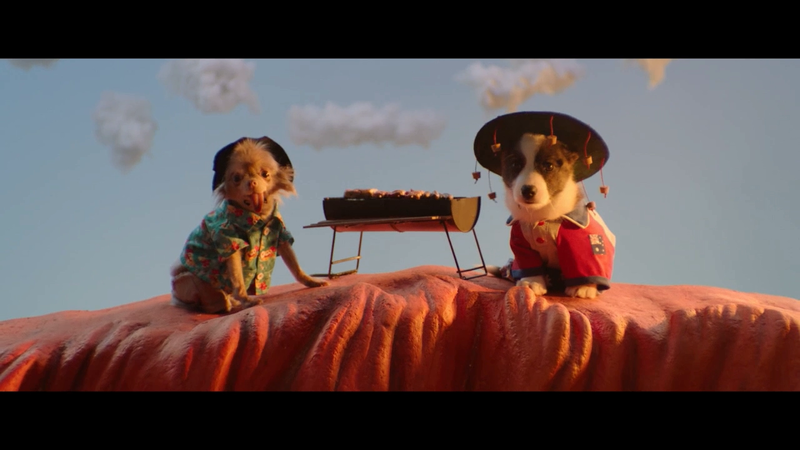 A crocodile goat, an elephant pig, and a moose mini horse that wouldn't stop eating the set are just a few of the cast of characters in the new campaign from the Missouri Lottery. To give Missouri Lottery players a little taste of the big adventure trips they can win this summer from the 2nd Chance drawing, Barkley constructed miniature sets of the Serengeti National Park in Tanzania, the Australian Outback, and Yellowstone National Park in Wyoming that were staged in towns and cities across Missouri. Due to the Midwest’s lack of exotic animals under two feet tall, Barkley had to rely on clever casting and costuming that was not without its challenges: the buffalo pugs marked their territory all over Yellowstone’s geyser; herding guinea pigs in zebra costumes is as hard as it sounds; and the chihuahua could not be contained from eating the shrimp on the barbie—which were plastic. "Winning a trip to an exotic locale can be hard to imagine, so we decided not to depend on people's imaginations,” says Katy Hornaday, Executive Creative Director at Barkley. “We built these teeny adventures to get every Missourian a little closer to their dream getaway." The “A Little Taste of Big Adventure” spots will run on broadcast and cable in local markets as well as on social channels. The campaign also includes radio spots that feature boomerangs at baseball games, and bison stampeding through the streets of St. Louis toward its famous arch. “Typical tourists, am I right?” the announcer asks.